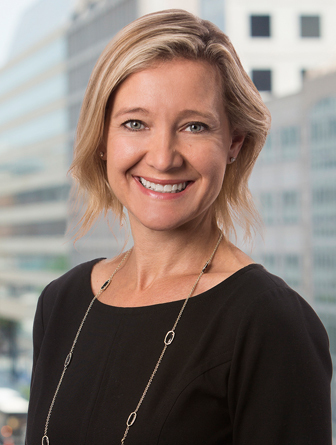 In addition to her trial work, Alison frequently represents clients in government investigations, including matters before the Department of Justice and Securities and Exchange Commission, and has successfully handled numerous appellate matters. Before joining Robbins Russell, Alison served as a trial attorney with the Civil Division of the United States Department of Justice for five years. During that time, Alison served as lead counsel on numerous civil cases in federal district and appellate courts around the country. In addition, Alison has served as an adjunct professor of Legal Research and Writing at the George Washington University School of Law. Successfully defended the former independent directors of a defunct investment fund in an international dispute where the plaintiff-liquidators alleged that the fund’s board of directors breached their fiduciary duties during the financial crisis and caused damages in excess of $1 billion. The directors prevailed on all claims after a 6-month trial. Obtained early dismissal of False Claims Act case brought by qui tam relator against hospital. Trial judge dismissed the case in its entirety after oral argument on motion to dismiss. That decision was upheld by the U.S. Court of Appeals for the Third Circuit on appeal. Represented a committee of unsecured creditors in an adversary proceeding in federal bankruptcy court in which we (a team of Robbins Russell attorneys) obtained a $500 million judgment for the committee. Alison worked extensively with expert witnesses throughout the case, and she was responsible for presenting key expert witness testimony at trial. Achieved favorable settlement for mental health care provider in securities fraud class action where plaintiffs sought hundreds of millions of dollars in damages. Case settled less than two weeks before trial, after discovery and extensive motions practice. Represented public health care company in national DOJ and HHS False Claims Act investigation into alleged overbilling of Medicare program. Reached favorable settlement after advocating on client’s behalf and working extensively to marshal the witness and documentary evidence. Tried commercial case between two railroad companies concerning a dispute arising from a request for proposal from a local government railroad authority. Represented record companies in a lawsuit alleging large-scale copyright infringement by a music-sharing website. Represented former controller of large corporation in connection with a federal subpoena for potentially privileged documents. Briefed and argued appeal in the U.S. Court of Appeals for the Fourth Circuit. Represented dozens of witnesses in a federal criminal investigation involving tax-advantaged transactions. None of the witnesses we represented was charged. Represented telecommunications company in numerous pieces of civil litigation, ranging from a commercial dispute with a regional telecom start-up to a class action employment dispute. Represented accounting firm in connection with an investigation by the SEC into alleged accounting improprieties at a public company.